"This has all the rich lemony goodness of regular lemon curd with fewer calories and a little less fat. Use it for lemon tarts, on pancakes, or a filling for layer cakes." Place eggs into a metal mixing bowl and add sugar and lemon juice. Place bowl over pan containing simmering water and whisk continuously until mixture foams and becomes thick, hot, and smooth, 8 to 10 minutes. Remove from the heat; whisk in lemon zest and unsalted butter. Continue whisking constantly until butter melts and incorporates into the lemon curd. Cover bowl with plastic wrap, pushing the plastic wrap onto the surface of the lemon curd. Refrigerate until chilled and lemon curd has set up, at least 1 hour. Stir before serving. 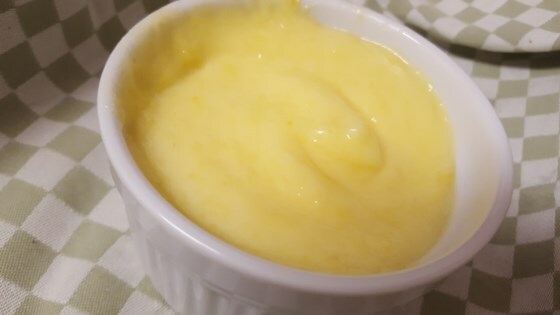 I had lost my favorite lemon curd recipe. This is pretty much it. Glad I found it. Don't change a thing. WOW! Did I actually make this delicious topping? I made exactly like the recipe. If it lemony, if you are lemon shy, keep that in mind. Yumo!